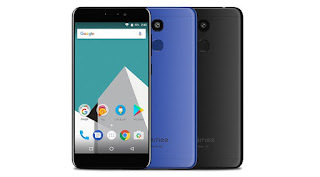 Vernee M5 4G as the name is called is a 4G enabled phone, designed in metal frame and glass at the back. The phone came running on Android 7.0 Nougat which is powered by MediaTek MT6750 chipset. Vernee M5 4G spots a 5.2 inches screen size, features a fingerprint sensor, as well as 64GB inbuilt storage and 4GB of RAM. Have a look at the full specifications below. Phone Price: $129.99 USD / NGN 47,000. Good phone, not too costly, it has nice specifications. Average specs. Good price. Cool.